The ants are pretty interesting, actually! They’re always busy tunneling, caring for their dead (we’ve lost 3), and trying to escape when we open the lid. They should live 1-3 months, which is a great length of time for us, and it’s been a very fun experience for Abraham. 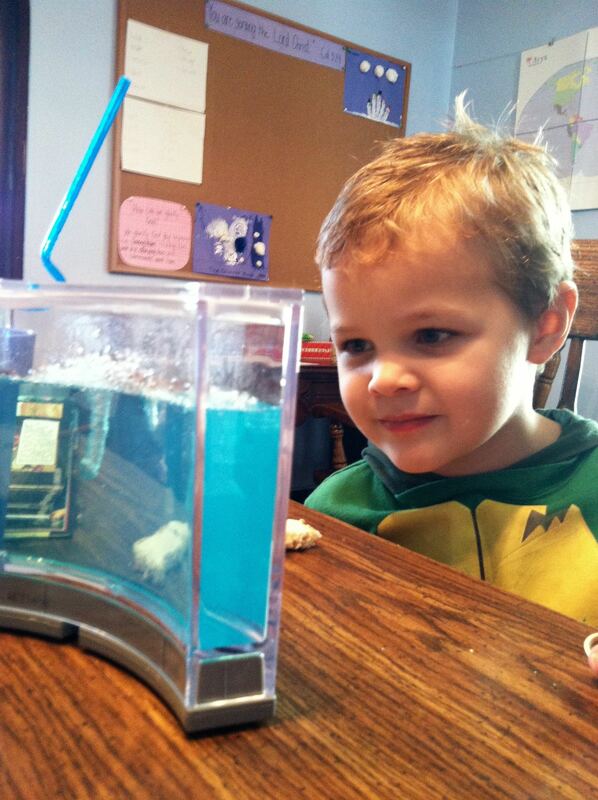 The ants sometimes eat with us, which I find a little gross, but the kids enjoy it! Abey spend the first few days just watching his buddies work. 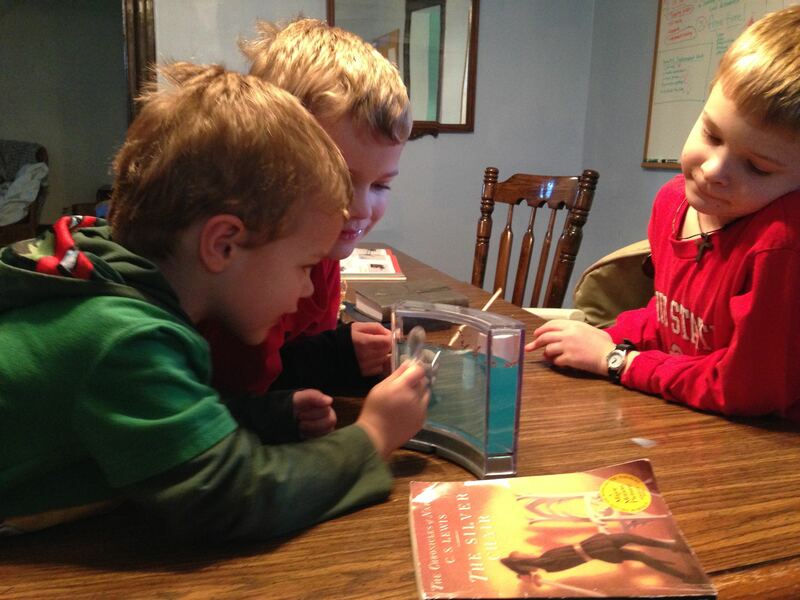 It’s pretty cool watching them with the magnifying glass! He likes to sit in this chair to check on their new tunnels first thing in the morning. You figured it out, Uncle Ken! 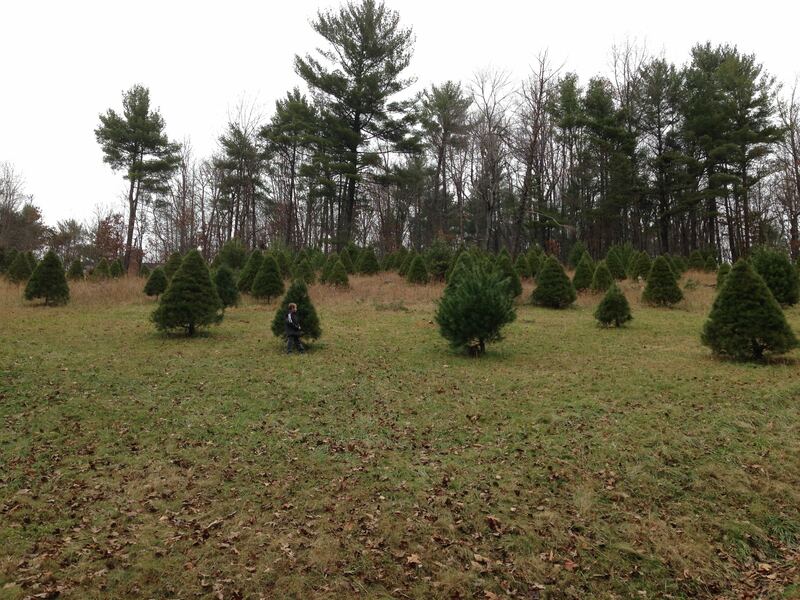 The past several years, we have gone to a small Christmas tree farm to cut our own tree. It’s very informal and not staffed, with just a pick-up truck with a window cracked a few inches for you to deposit your $20 for your tree. 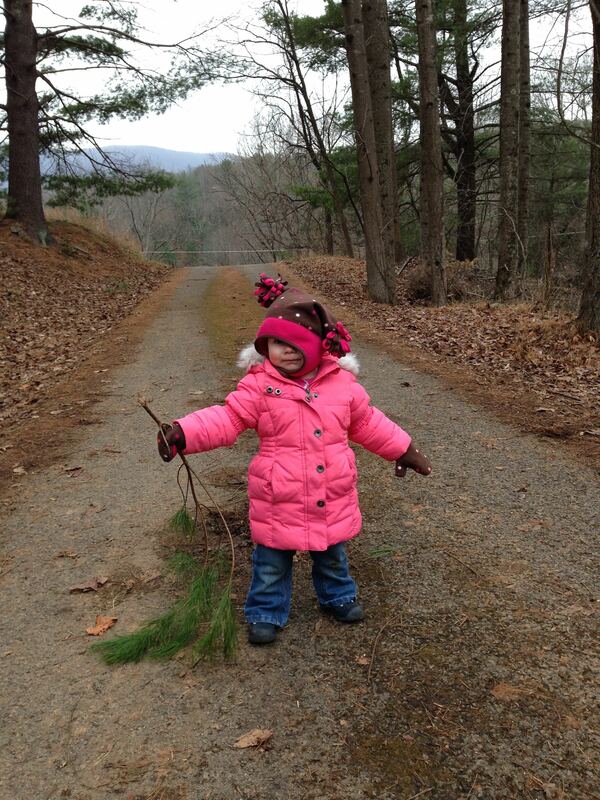 It’s been a fun tradition for the boys, and now Felicity also, to run around freely and choose which tree to take home. We don’t worry too much about the fullness (they’re not perfect at this place) but look at the size. We decided to go big this year. 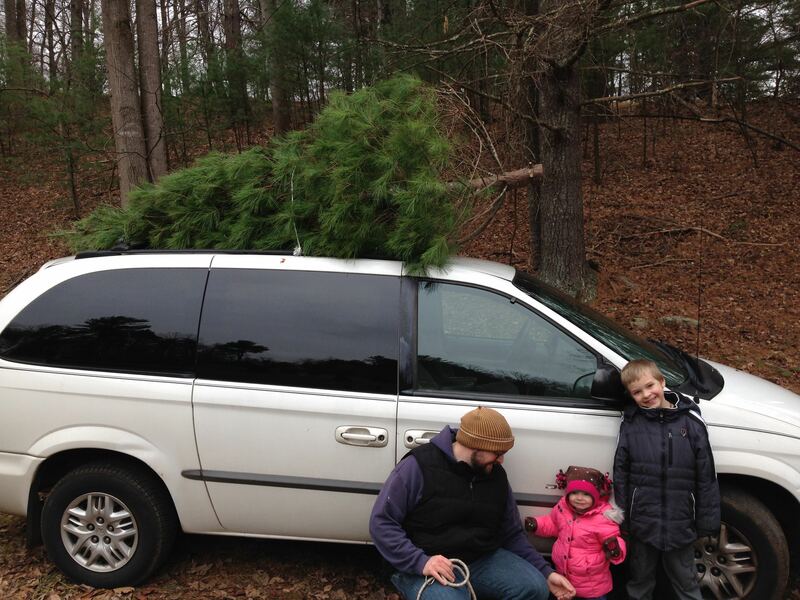 Our tree was on a big hill, which, it turns out, made it seem smaller than it really was. 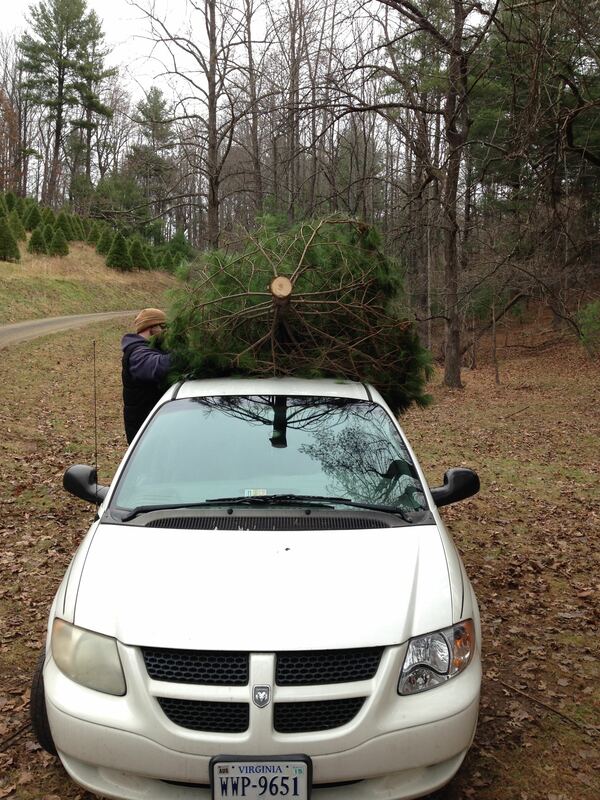 We felt a little silly driving home with this gigantic tree on our roof (and got a few funny looks from other drivers! ), but had a good laugh over it all. 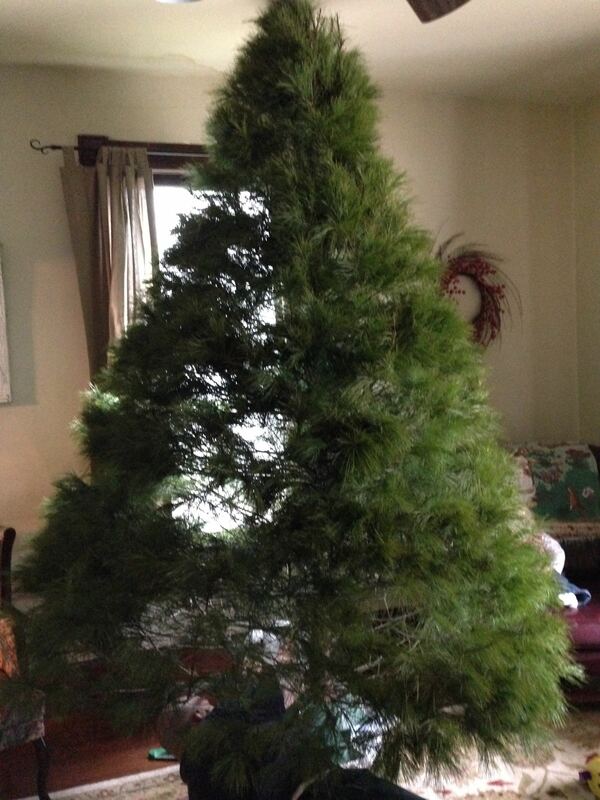 Then we got it into the living room and found out it was a LITTLE too tall for our ceiling! 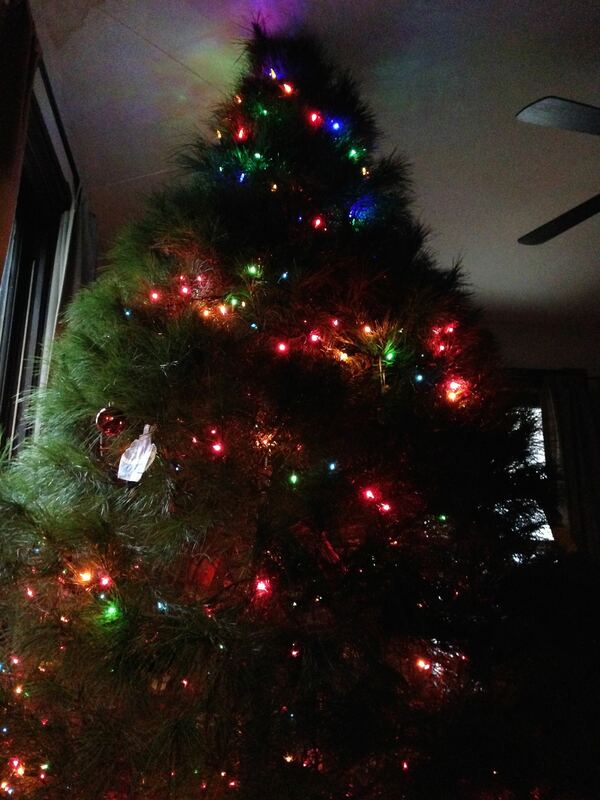 We enjoyed our gigantic, funny tree and plan to continue our tradition (much like one from my childhood) of getting a ridiculously large Christmas tree! By the way, if you look to the left, you will see some twine from the tree to the wall. That was to provide support after it slowly fell onto me and one of the boys as we decorated! Thankfully I caught it before it smashed us and the ornaments! Here are some pics from our time on the farm. 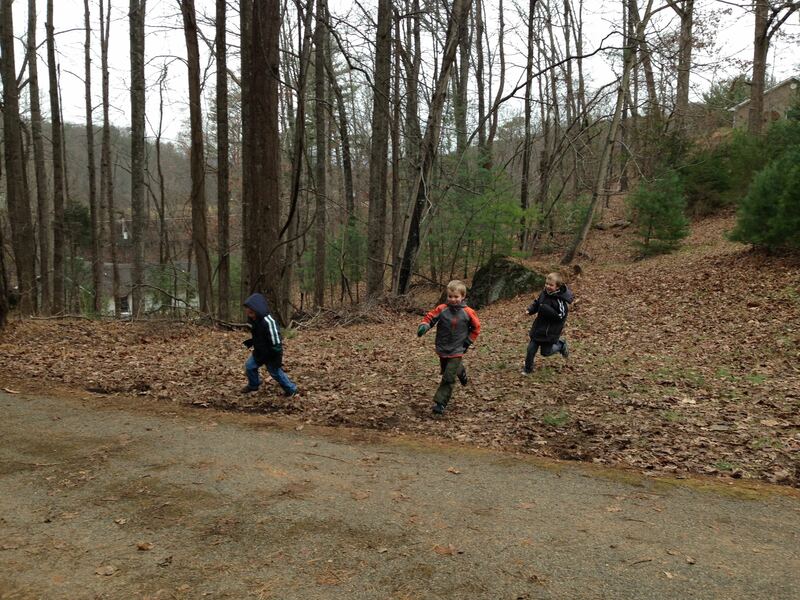 The boys had a blast running down the hill, jumping off rocks, etc. 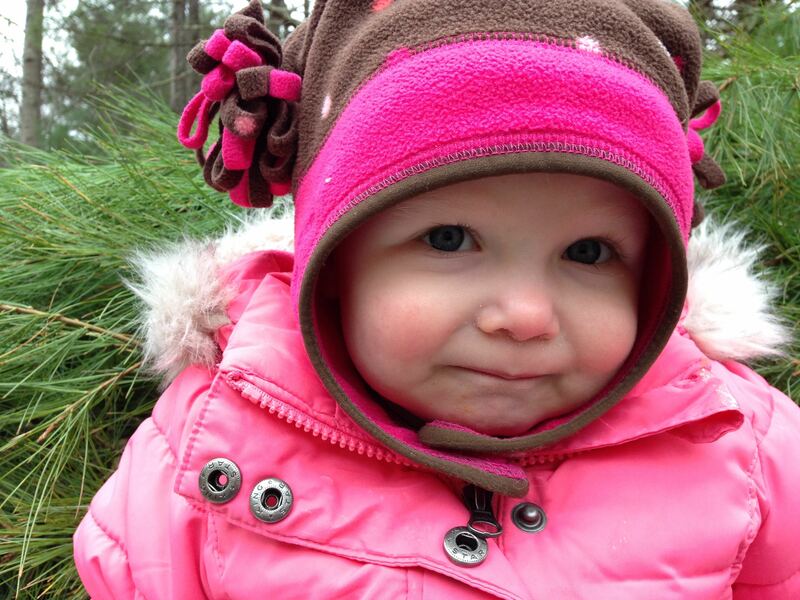 Felicity had fun dragging a branch around and looking adorable. 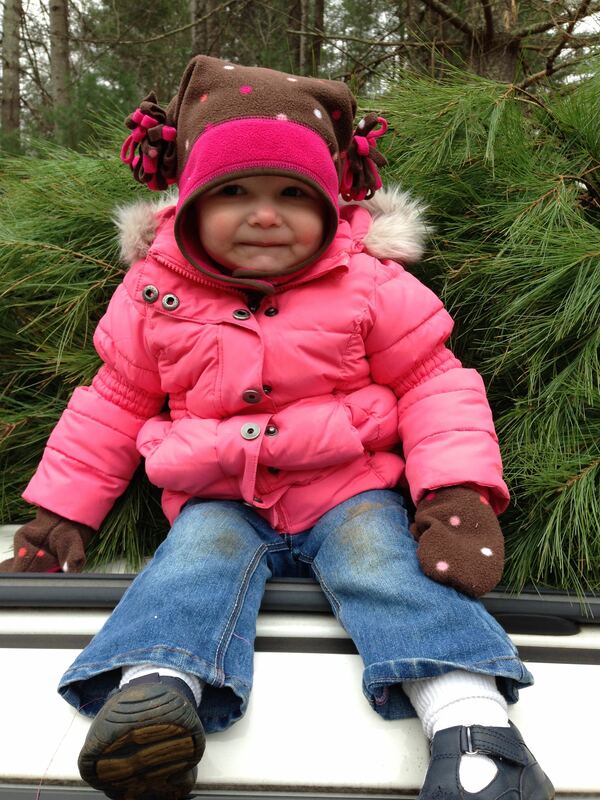 She even got to sit on top of the car with the tree because she’s so cute! …So we could take lots of pictures of her before she grows up (sniff). 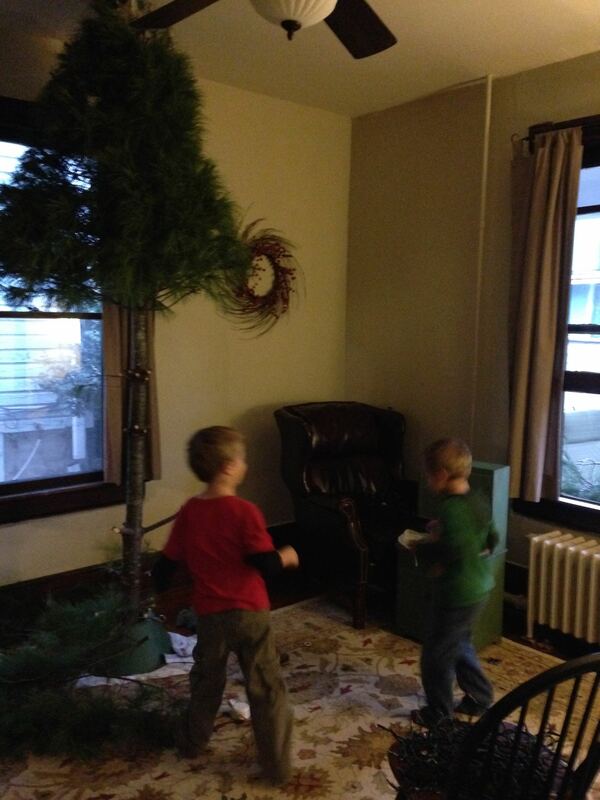 Stay tuned to find out how we got the tree OUT of our house! Any guesses? Hopefully 2015 will bring a fresh start to our blogging. We began homeschooling Sammy (2nd), Eli (1st) and Abraham (pre-k) this fall along with keeping up with a very busy 1 year old. Add in a slow computer, and keeping up with this has ended. Charlie loves new year’s resolutions, though, so I thought it was a good time to start keeping you in the loop again (grandparents and maybe some aunts)! Sammy is 8 years old and growing up quickly! 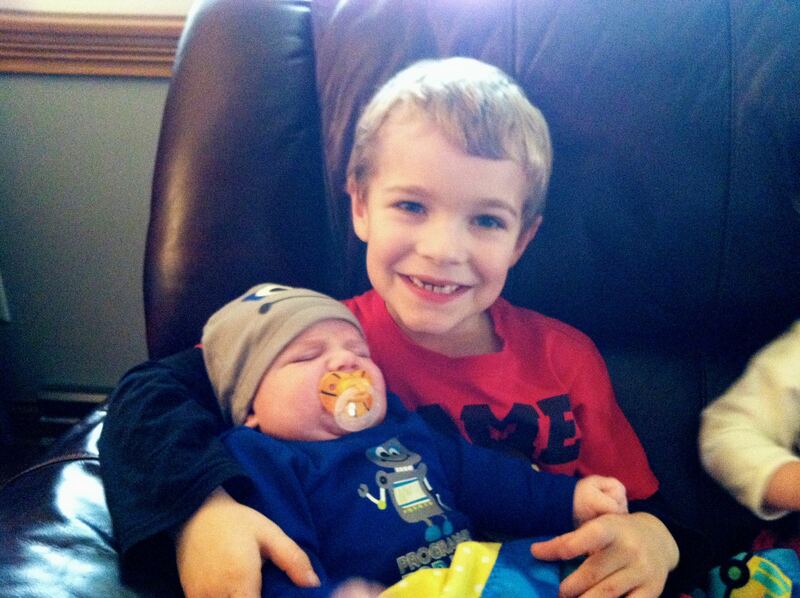 He has become an avid reader, enjoys playing games, is learning to play the piano, and loves talking about church history with Dad (Charlie loves it too!). 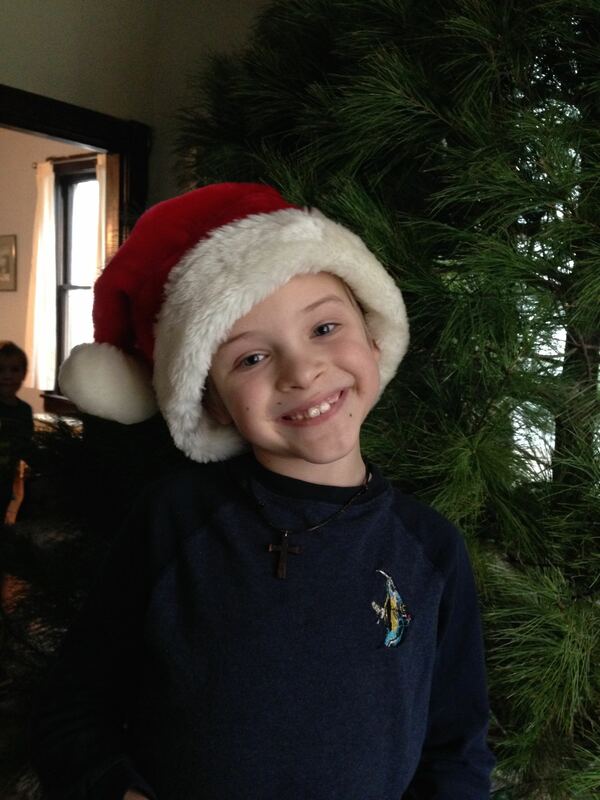 Eli (7 yrs.) likes to be busy with his hands building, drawing, cooking, or helping around the yard. 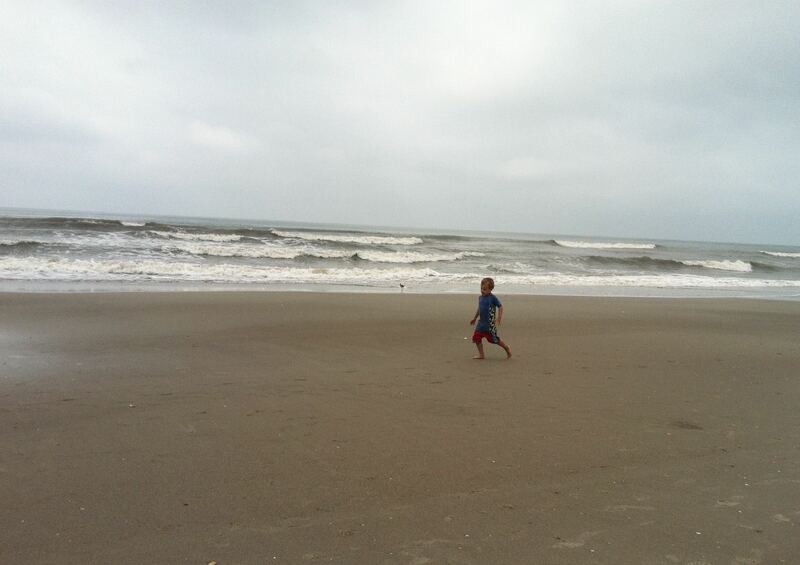 He gravitates to little people (babies and preschoolers) and loves being silly! All of the boys adore Felicity, but Abraham and she have a special bond. 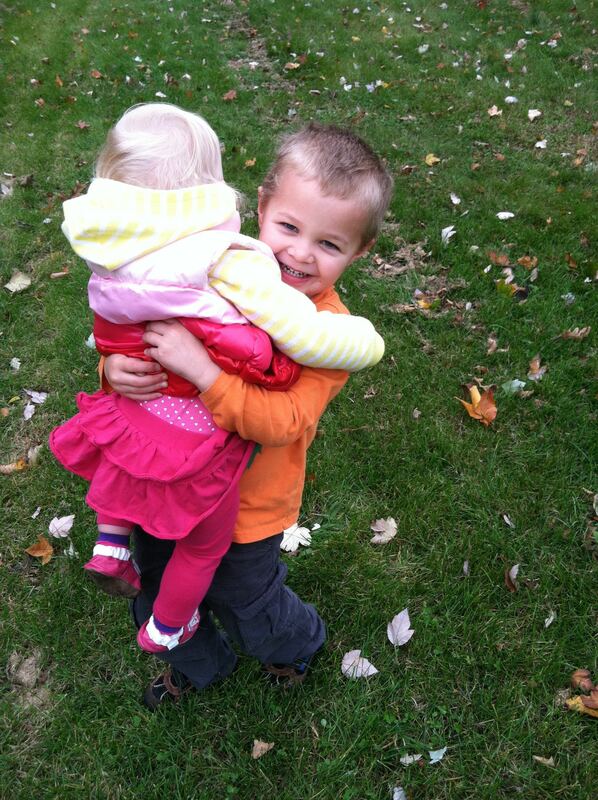 They are sweet together. And our 1 year old doll baby! 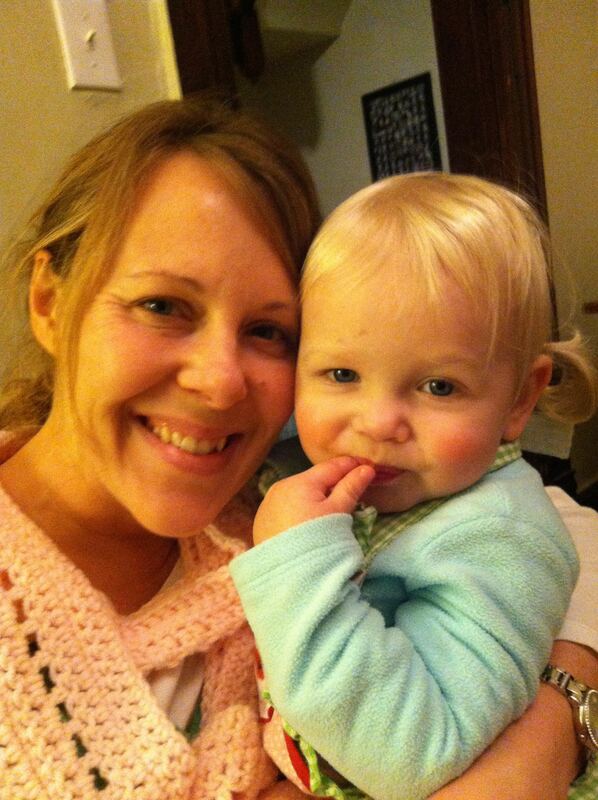 Felicity is at a wonderful age–toddling around, babbling, wanting to snuggle and read books, and being silly. She has a few words (mama, dada, bock bock, peas for “please”, etc.) but has been working on a lot more this week. She received several kitchen/food play items for Christmas, and those are her favorite toys. It’s nice that she has someone to play kitchen with her (great brothers!) and she is just adorable! 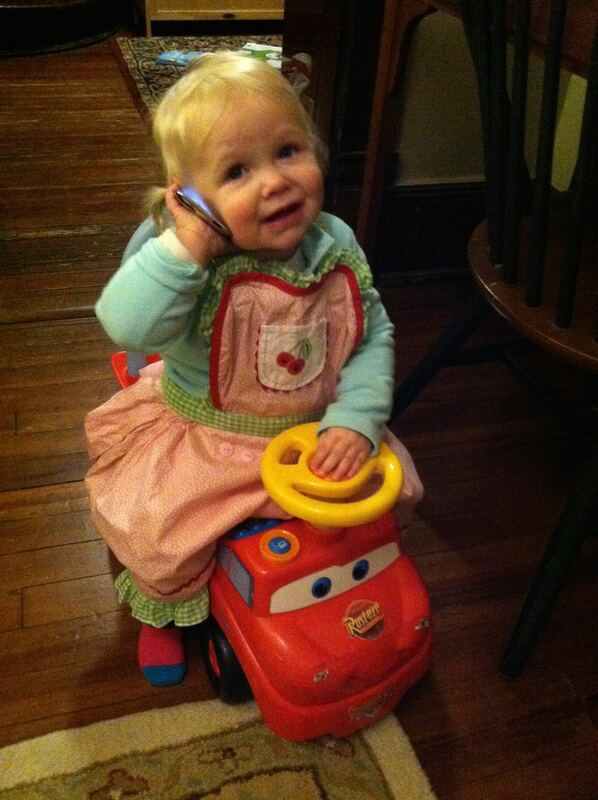 Here she is wearing her apron, cruising on Lightening McQueen and listening to Hispanic worship music on the boys’ iPod. Hilarious!